Disciplined Approach: Rhea Combs 09PhD (left) and Michelle Joan Wilkinson 97G 01PhD bring perspectives born of literature, film, and women's and Africana studies to their roles. In September, the National Museum of African American History and Culture (NMAAHC) opened on the National Mall in Washington, D.C., after decades of voices calling for a space dedicated to the complex, painful, inspiring, and evolving story of African Americans. 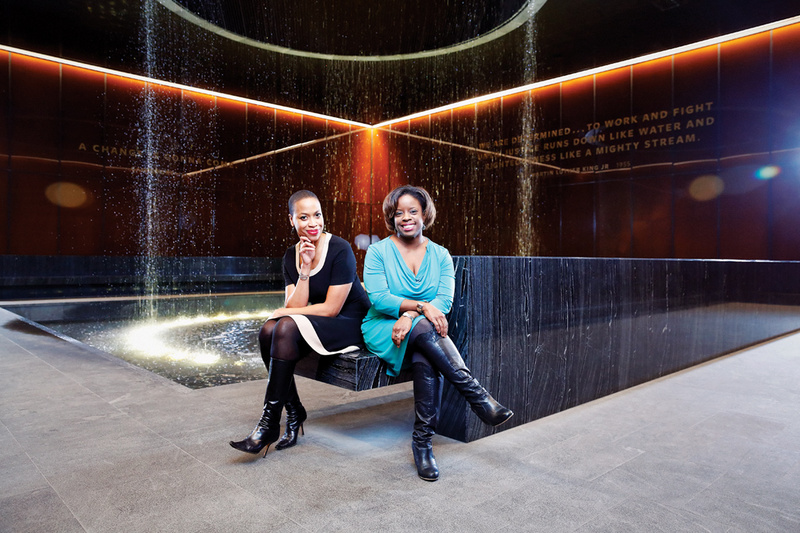 Emory alumnae Michelle Joan Wilkinson 97G 01PhD and Rhea Combs 09PhD are curators at the new museum, contributing their knowledge of African American art, media, and history to the space, which has already had a profound impact on visitors. Wilkinson works on projects related to contemporary black life and is cocurator of two inaugural exhibitions at the NMAAHC: A Changing America: 1968 and Beyond and A Century in the Making: Building the National Museum of African American History and Culture, which chronicles the history of the museum itself and the challenges of bringing it to life. "We knew we had to tell the story of how we came to be. Instead of a plaque about it, we wanted to talk about how we did it, why the building is where it is, and why it looks like it does. It is the creation story about the people who were involved in getting the legislation passed to make it happen," she says, adding that efforts to establish a memorial to the African American experience in Washington date back one hundred years. "So many people fought for this building; they organized and signed petitions to get to a point where it is open, not just a piece of paper authorizing it, but a building you can walk into. I have seen people come onto the grounds of the museum and stop and kiss the ground," Wilkinson says. "One of the things people repeat to me—whether they are white, black, Asian, whatever they may be—is that it is not just what is in the museum, but conversations that are happening in the museum that matter. The memories, experiences, and lessons being shared that we also had happening in the gallery. It is a very emotional space, there are many hard and difficult things in the subject matter, but there are also places of joy and jubilation. You don't leave with just one feeling or emotion. It takes you through a journey of what it has been like to be African American in this country." Moving Pictures: Combs travels the US with Saving Our African American Treasures, an ongoing outreach program created to collect and preserve historical materials held in homes and personal collections. of Art, Combs recalls being swept up by the massive mural Detroit Industry painted by Mexican artist Diego Rivera. Panels of the imposing work show the rhythm of workers in the auto factories of Detroit, an industry in which many of Combs's extended family members were involved. The mural also touches on issues of race and gender, subjects that would one day inform Combs's academic scholarship. As an undergraduate at Howard University, Combs gravitated toward a major in media and film, dreaming of being "a Barbara Walters," and began to develop a focus on media representations of race and gender. 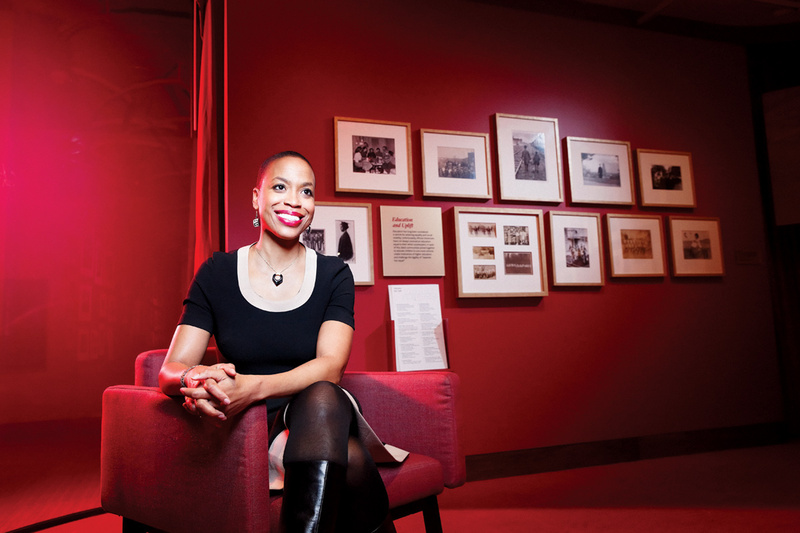 Encouraged by a professor to dive deeper into those interests in graduate school, Combs earned a master's degree from Cornell University, where she focused on Africana studies and film. By the time she completed her master's degree, Combs knew she wanted to pursue museum curating as a career. 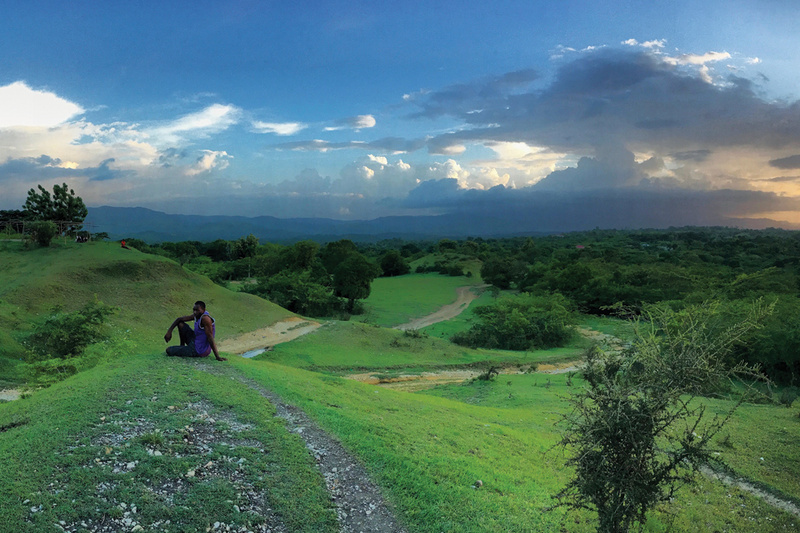 "Being a curator blended my interest in public scholarship and simultaneously allowed me the chance to explore intellectual questions that intrigue me," she says. Combs worked for several years in the museum world before coming to Emory, including a contractual position at the Smithsonian's National Museum of American History in the Program of African American Studies, where she had the chance to curate a film series and conference that featured many of the scholars she studied in graduate school. Later she worked at the Chicago Historical Society (now museum) and other cultural institutions in the area. Combs eventually chose to pursue a PhD at Emory because of the university's Institute for the Liberal Arts (ILA), known for its interdisciplinary nature. "I kind of bristled at the idea that I had to go down a strict disciplinary path if I pursued a PhD," says Combs, who concentrated on film, gender, and African American cultural production at Emory. "In the ILA, I was able to continue my curatorial interests while continuing to delve deeply into all the different things that were appealing to me intellectually." After completing her coursework, Combs worked as an assistant curator at the Spelman College Museum of Fine Art while working on her dissertation, "Exceeding the Frame: Documentary Filmmaker Marlon T. Riggs as Cultural Agitator." Later she worked as director of outreach at the National Black Programming Consortium in New York, an organization dedicated to fundraising for projects by African American documentary filmmakers, before moving to Oregon for a postdoctoral fellowship at Lewis and Clark University in Portland. Combs is now curator of photography and film at the NMAAHC and head of the museum's Earl W. and Amanda Stafford Center for African American Media Arts (CAAMA). Her projects include curating and working on NMAAHC's photography book series, Double Exposure, including a preview exhibition she cocurated, Through the African American Lens: Selections from the Permanent Collection. When she joined the NMAAHC, "I felt that all of the moments in my life had built me up to this," Combs says. 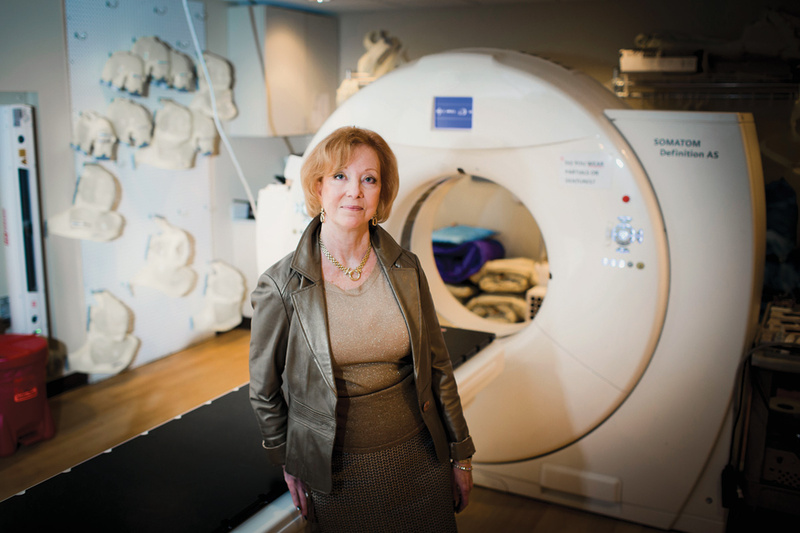 "Since joining the museum as a curator, it has been a whirlwind. It's been exhausting, exhilarating, and surreal. It is truly a once-in-a-lifetime, blessed opportunity." 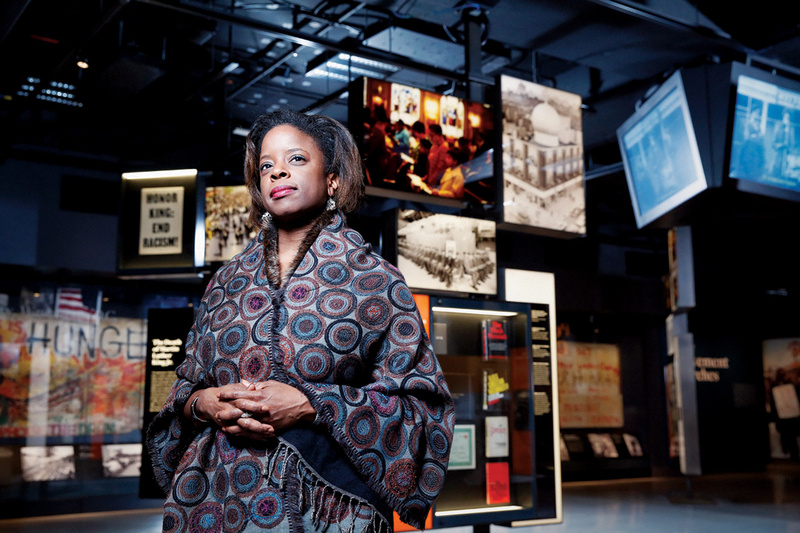 In addition to her work at the museum, Combs travels the country collecting films and photos from museums and individuals for the NMAAHC's permanent collection. "It is important to showcase the work of photographers, both known and lesser known, in order to tell the complicated, rich, and nuanced story of African Americans," she says. "We can do that with polished, fine art photographs done by renowned image makers, but also in a rich and honest way through the experiences of everyday people." The images and films Combs has collected are being displayed in an inaugural exhibition in the CAAMA gallery called Everyday Beauty, which explores African American life and culture by highlighting one hundred images during the course of one hundred years, from 1870 to 1970. One of the most compelling pieces Combs features in the exhibition is the photographic work created by New York native Laura Fitzpatrick, an amateur photographer who created a scrapbook of photos and detailed notes between 1937 and 1947. "The things that were highlighted in this photo album speak to the importance of capturing the day in the life of African Americans through photos. This woman's work literally captures ten years of the same friends in a neighborhood in Brooklyn and encapsulates that time in history," Combs says. The Fitzpatrick collection came to the museum through Save Our African American Treasures, one of the NMAAHC's outreach initiatives focused on collecting and preserving African American material culture. "The museum reached out to various communities throughout the country and talked with people who have treasures in their homes," Combs says. "It was not a scouting expedition, but an opportunity for people to know that their materials are valued and to discuss the conservation and preservation of those materials." By collecting artifacts that provide a window into the lives of African Americans, Combs hopes to highlight the commonalities among all Americans. "The hope I have is that this museum will bring us closer together as a nation. By examining the various inaugural exhibitions, a visitor can learn of the distinct history and culture of African Americans, but also witness the commonalities that bind us together as a human race," she says. Day Dream: Wilkinson followed the creation of the NMAAHC from the beginning, attending town hall meetings after the museum was established by an act of Congress in 2003. Working there as a curator, she says, is a dream job. A native of Brooklyn, Wilkinson says her own experience of learning about African American artists and writers came from spending afternoons and weekends at the public library during elementary school. "It was before African American was a term that was used. I remember reading black authors, poetry, and novels by black writers, and feeling this wonderful feeling. These stories weren't actually my stories, they were stories about the 1930s and 1940s and 1950s, but some of the experiences and voices I could hear in the characters were people I could relate to," she says. "Even though I could not get that in the school system, there were avenues even then where I could see that people could write their own stories." After graduating from Bryn Mawr in 1993, Wilkinson also was attracted to Emory's ILA because of its interdisciplinary opportunities. She earned graduate certificates in comparative literature and women's studies, and a PhD focusing on black cultural studies. Her dissertation explored the parallel development of the black and Puerto Rican arts movements during the turbulent 1960s and 1970s. "I was looking at what was happening in the social spaces where those communities lived—spaces that became locations for art and music reflecting the social mandates of the time—and the ways in which these communities were supporting and defining what artists should create," she says. In 1999, Wilkinson became an assistant professor of African American, Puerto Rican, and Caribbean literature at Bard College in New York. It was during a visit to New York City in fall 2001 that she fell in love with the idea of a museum career. "I was in the city for a movie, and we walked by the Studio Museum in Harlem," says Wilkinson. "You could see into portions of the museum, and you could see that inside it was festive and the space was very alive at nine o'clock on a Friday night. There were so many places where people could be, and they were there. I remember wondering what was it they were doing that was creating this turnout and excitement and engagement." The following spring, she took a leave of absence from Bard and became an unpaid curatorial intern at the Studio Museum, which collects and explores the work of African American artists and those of African descent. Although Wilkinson had never done curatorial work before, she immediately felt it fit her skills as a researcher, scholar, and editor—researching, writing, organizing ideas, and translating them for the public. From that point on, Wilkinson says, she "had some foot in the museum world." After working with the Studio Museum, Wilkinson completed a postdoctoral fellowship in Latino studies at the Smithsonian American Art Museum in 2002, and then worked with the National Gallery of Art in 2003 on its Romare Bearden exhibition. In October 2007, she became director of collections and exhibitions at the Reginald F. Lewis Museum of Maryland African American History and Culture in Baltimore.She was hired as a curator for the new NMAAHC in March 2014. "It's a dream job, personally and professionally," Wilkinson says. "As curators, it is our mandate to identify different collecting areas and objects and to seize opportunities for collecting around such events as contemporary protests or to develop more expertise in collecting around technology. It is almost like reporting stories. We are still pursuing and helping to tell those stories."